BCNR33 Skyline GT-R - J's Garage Export Co., Ltd.
1995.01 : Nissan announced the release of the BCNR-33 Skyline GT-R and the Skyline GT-R Vspec. Body size was enlarged, length of 4,675mm, width of 1,780mm, height of 1,360mm, wheel-base of 2,720mm, and weight of 1,750kg (R-33). The engine's maximum torque output had been increased by 1.5kg-m to 37.5kg-m at 4400rpm as a result old various improving revising the computer control parameters and improving the intercooler. 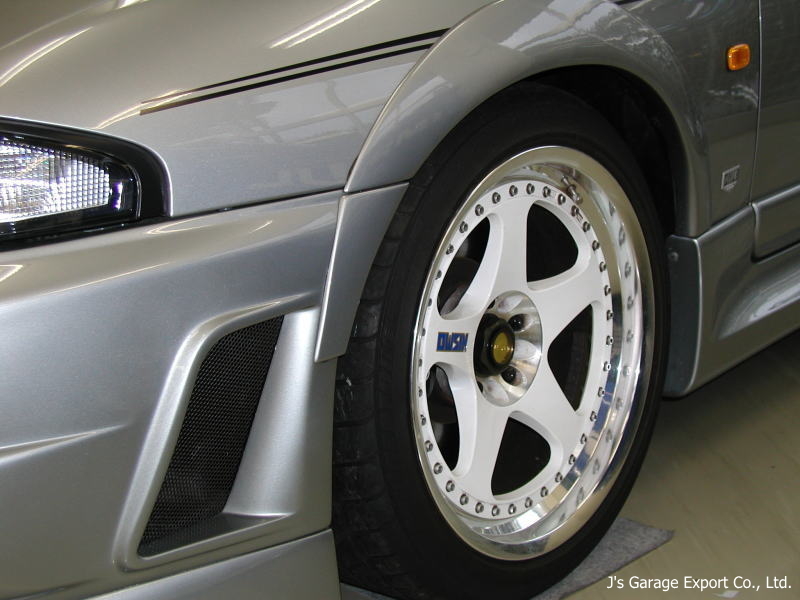 Four-wheel Multi-Link suspension had been further improved for enhanced performance. 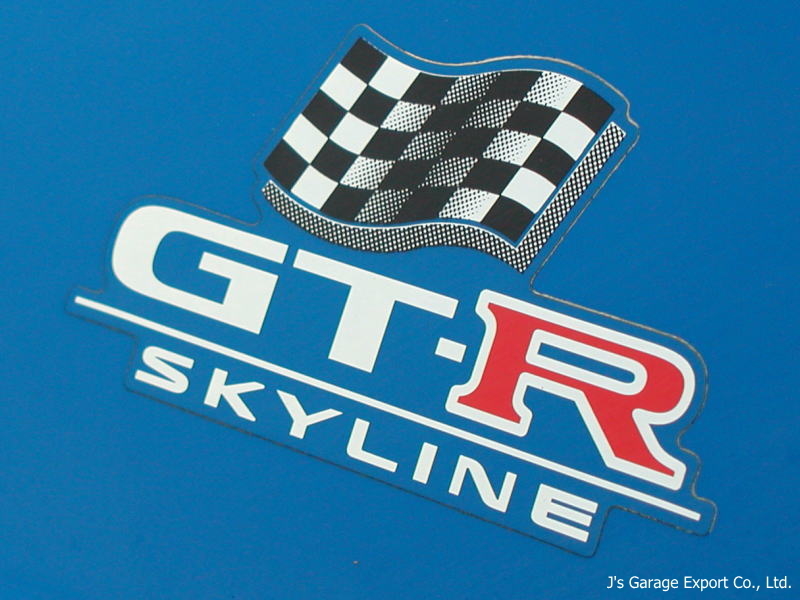 The Skyline GT-R Vspec features the ATTESA E-TS PRO system that provides integrated control of the driving and braking forces at all four wheels independently, enabling each wheel to deliver its full performance potential. This system consists of ATTESA E-TS for optimum front-to-rear torque split control, Active LSD for optimum control of the torque split to the right and left rear wheels and ABS. 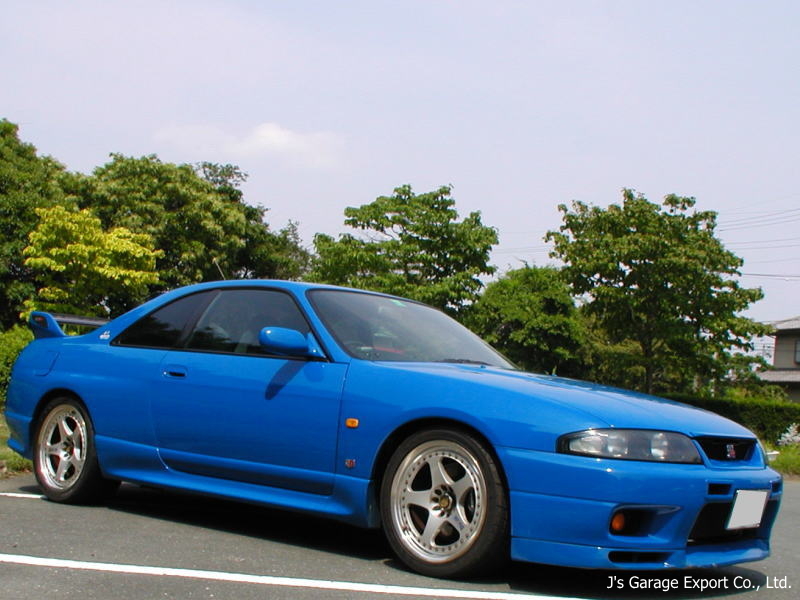 Also the Skyline GT-R Vspec adopted a hard-tuned suspension in which the damping force of the shock absorbers, spring constant of the springs and other characteristics have been specifically tuned to match the car's character. 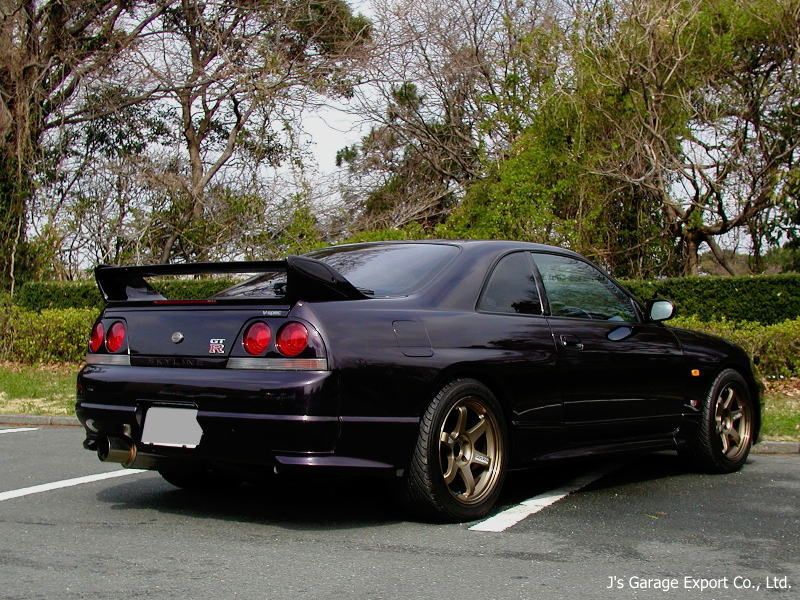 The Skyline GT-R adopts a rear spoiler with a mechanism that allows a four-way adjustment of the spoiler angle, a front spoiler and side sill protectors. These parts save to optimize the aerodynamic balance at the front and rear along with achieving a better Cd figure of 0.35 compare with that of preceding model of 0.10. 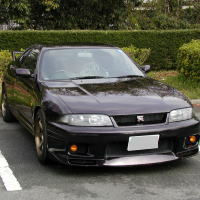 The Skyline GT-R Vspec N1 is a competition base model, and ABS, air conditioner, and audio have been removed to reduce weight. The rear spoiler adopts carbon fiber-reinforced plastic in its composition. 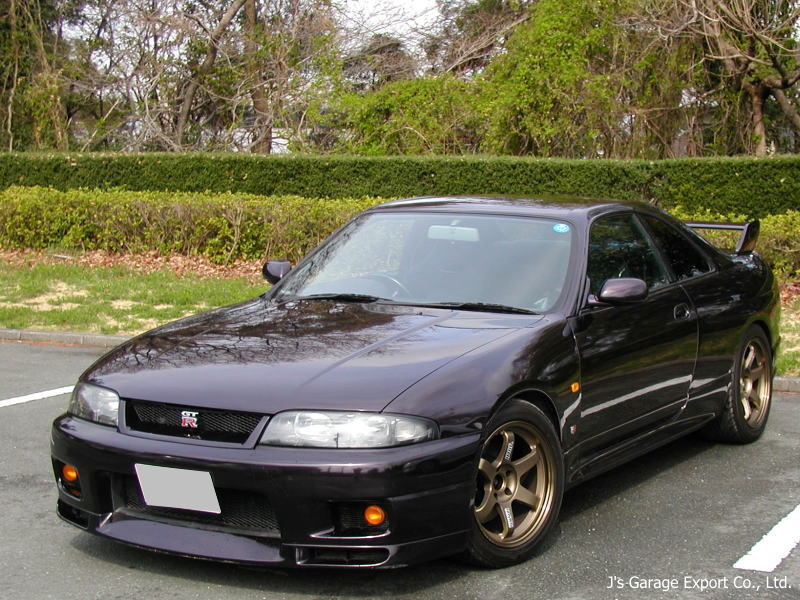 1996.01 : The NISMO 400R was launched. 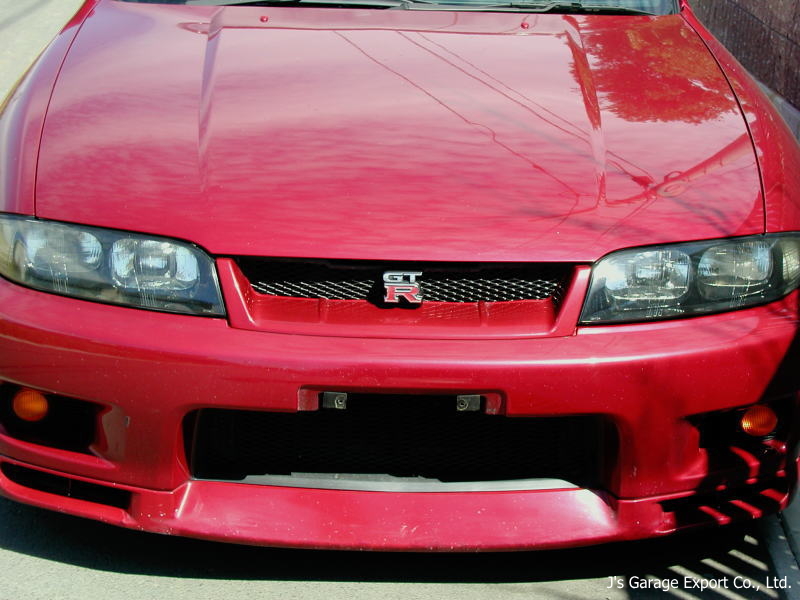 Only 44 units were built for the Japanese domestic market. The 400R is powered by an exclusive 2771cc modified RB-X GT2 engine that develops 400 horsepower and 47.8kg of torque. Moreover, the 400R is fitted with a carbon fiber-reinforced plastic propeller shaft, BILSTEIN dampers, 18x10 Nismo alloy wheels, exclusive aero parts, and Nismo type R driver seat. 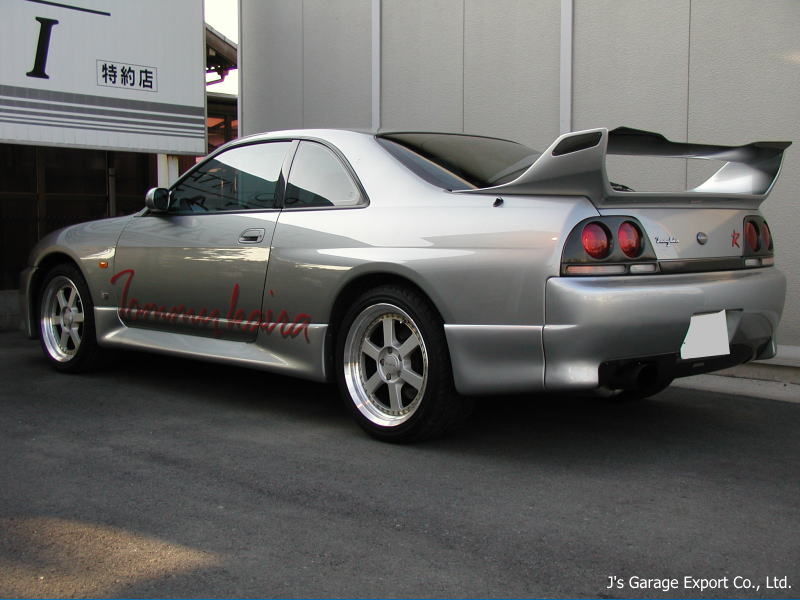 1996.05 : Nissan introduced a limited edition Skyline GT-R V-spec LM Limited in commemoration of the Le Mans 24 Hours Endurance Race participation. The LM Limited features exclusive championship blue color, a front bumper with air intake, a hood top mold, and a carbon fiber-reinforced plastic rear spoiler. 1997.02 : There were some minor changes. It adopts a improved ABS, a front bumper with air intake, Xenon headlights, a rear fog lamp,and passenger SRS airbag.